So, its 2016 and T.I.N Magazine have decided to list out the richest actors in the country cutting across the three huge movie industries we’ve got in Nigeria. Well, this ranking is basically judged based on media reports on each personality you will find on this list. We used endorsements, number of movies produced, and other professions each of them has got. So we are going to list out ten actors that we believe are the richest in the movie industry as of 2016. He is definitely one of the most famous people in Nigeria, he is also known by many as; “PawPaw”. He used to act alongside his partner; Chinedu Ikedieze, he has featured in a lot of movies since starting his career and he and his partner are definitely among the people who shaped Nollywood. He is a brand ambassador of many big brands in Nigeria. Popularly known as “Mr Ibu”, he is definitely among the starters of Nollywood, he has featured in many sold-out movies, he is known to be a comic character and a comedian too. John Okafor is a movie producer and a director. He is also a brand ambassador of many big brands in the country, Not to mention he also one of the highest paid actors and a businessman. Mike, is very well a popular actor in Nigeria, he is one of the most featured actors in Nigeria and he is one of the highest paid, He’s got movies of his own too. Mike is an ambassador for Airtel Nigeria. He is often used for several ads too. He’s been concluded no.6 on this list. The prolific actor, director and filmmaker is a huge brand at the moment. He has featured in many Nollywood and Yoruba movies; he is a well, trained filmmaker and director with quite some huge movies to his name. He’s got some huge brands endorsements. In 2015 he was elected a member of the House of assembly in Lagos state. The biggest star in the Hausa movie industry, Kannywood, he is also a Nollywood and Gollywood actor, he’s been in the industry for quite a long time and he has featured in a lot movies. He features in TvSeries and more. Ali is definitely A-list in Nigeria, he’s the most featured and most sought after actor in Kannywood. He is also a brand ambassador to many big brands like; GlO, OMO, SAMSUNG and more, he is also the face of many big brands in the North and Nigeria as a whole. He is also a movie producer with huge movies to his name. He is quite known by many as; Osuofia and he is sure among the starters of Nollywood, he is a comic actor who has featured in a lot of movies, he is a very serious filmmaker, he has made several hit movies not to mention he charges high when featured in movies. He is an MTN brand ambassador, and he is often use for several advertisements. Well, he is not from Nollywood but from the Yoruba movie industry, Odunlade is sure the most famous, most sought after and the most featured Yoruba actor in Nigeria at the moment. He’s got several endorsement deals to his name, we discovered the actor has been chosen by many big brands within Ogun state and Lagos to be their brand ambassador, he’s been a GLO ambassador since 2011. Odunlade is the biggest star in the Yoruba movie industry, not to mention he is a very serious movie producer with tons of hit movies he makes yearly. He is no stranger to any of us, Ramsey has been a star in the industry since the 90s, Ramsey is an actor who has featured in a lot of big movies in his career not just Nollywood alone but Hollywood as well. We learnt the actor charges quite some heavy amount to feature in movies. He is an actor with multimillion endorsement deals, and also a movie producer. He is quite known to anybody who watch Nollywood movies, Jim Iyke is no doubt an A-LIST actor and he is one with a big brand. Jim is said to have featured in over 150 films and counting… He is definitely among the most paid actors in Nollywood, and he is an ambassador to several brands locally and internationally. He is a movie producer and director and a known Philanthropist with his own foundation. He is not just an actor but an entrepreneur too. He is one of the starters of Nollywood, this man has been in the industry quite a while now, formerly a journalist and a publisher, he is a politician and was once appointed commissioner in Delta state. 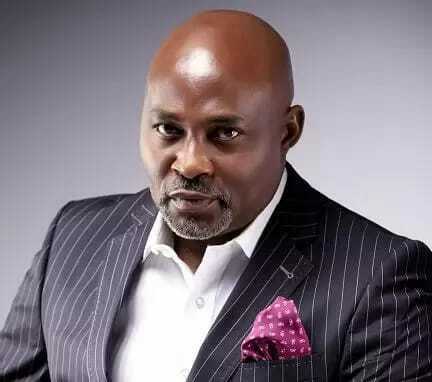 RMD is one of the highest paid actors in Nollywood and he’s featured in quite a lot of movies since starting his career. RMD is also a certified movie producer.